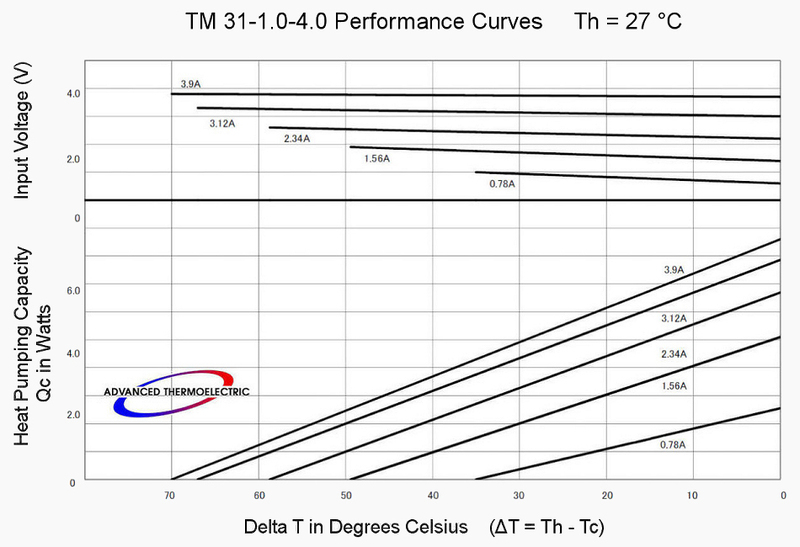 TM 31-1.0-4.0 is a general purpose single-stage thermoelectric module, with mid-range cooling capacity in the 15 x 15 mm footprint. 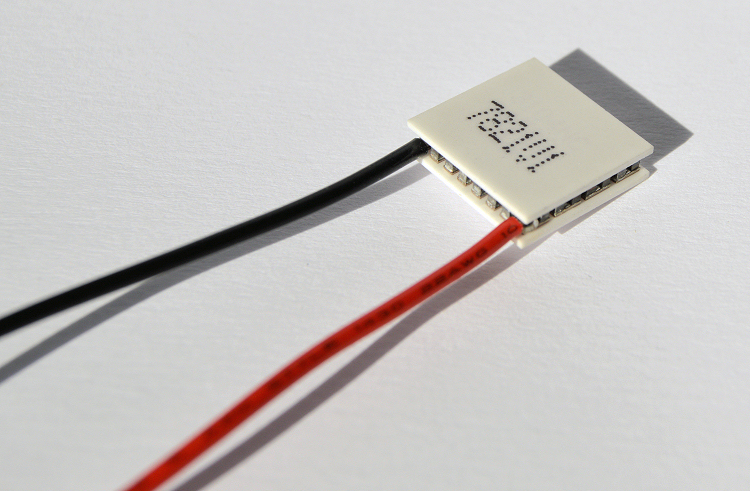 This TEC has approximately 20% more cooling capacity than the 3-amp version of this module. 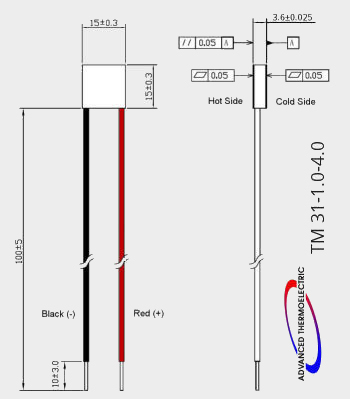 TM 31-1.0-4.0 may be used for spot cooling, heating and thermal stabilization and is employed in a wide range of applications including electro-optics, telecommunications, medical and military. 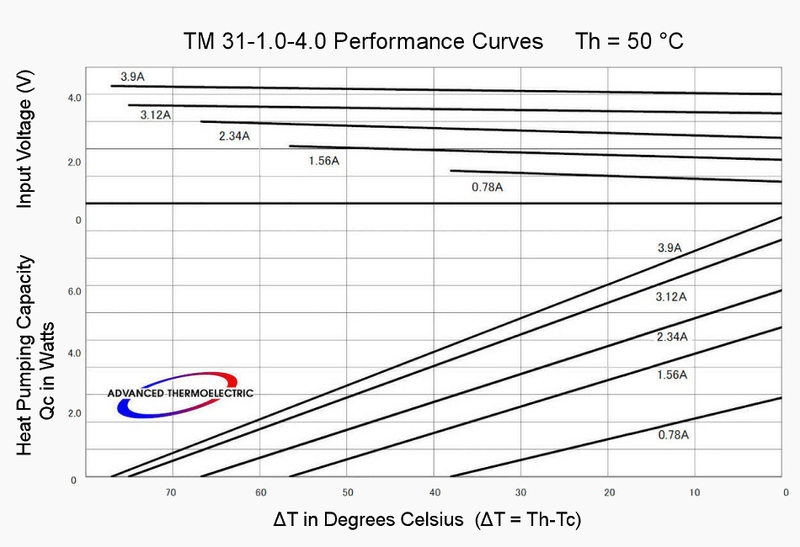 A version for thermal cycling is available and recommended for airborne applications. 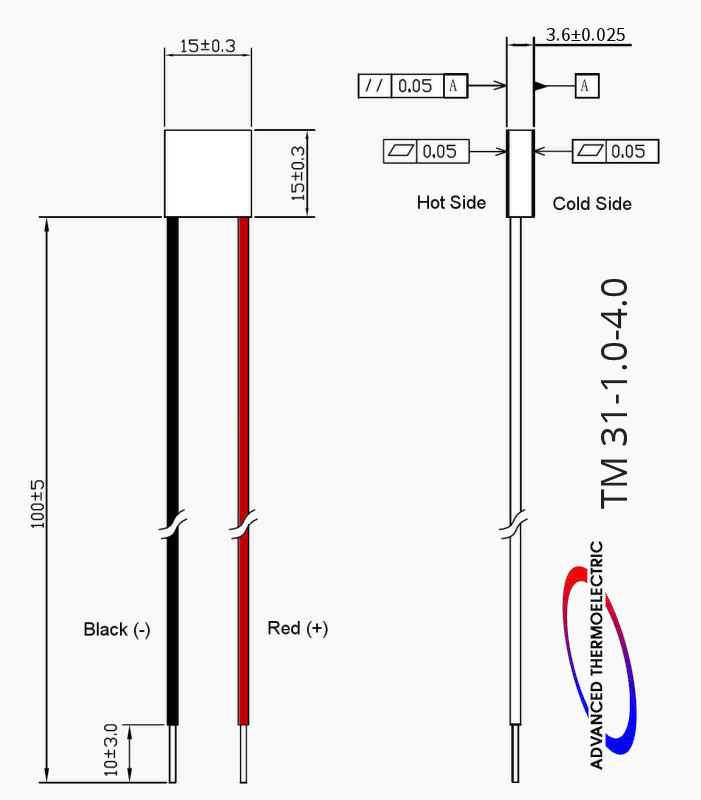 In electro-optic and photonic applications, TM 31-1.0-4.0 is commonly used to maintain a constant temperature in order to stabilize the wavelength of a diode, detector or sensor.